The provider of administrative and virtual services – Virtual Assistants together with the provider of cloud IT services – Stone Computers launched a new joint service for business clients. The leading provider of cloud services in Bulgaria – Stone Computers and the provider of administrative and virtual services Virtual Assistants launched two joint packages – “StepInBulgaria” and “All Y Need for Startup”, facing the new business challenges. The services will be offered in several packages which are completely tailor-made depending on the specific needs of every business company thus will allow users to focus on their core business. Packages include a wide range of services and functions you can choose of – starting with a Personal Virtual Assistant, online accounting, email-response handling, virtual desktops, customer relationship management system (CRM) and web conferences, to documentation processing, marketing and advertising support, event organization and more. Any customer who uses virtual services will have a personal Virtual Assistant who is focused on achieving real results while doing his job and is available 24/7/365. No matter if your Virtual Assistant offers you private support, organizes your schedule, prepares documents or performs specialized administrative services and tasks, he strives to achieve your goals while saving you time and money. “Business gets more automated using the newest technologies and software for business analysis, planning, reporting and billing in real time. Of course, information technologies play a key role for business success and sales of every company. This was essential precondition for the establishment of the strategic partnership with a company of the caliber of Stone Computers. Their activities are directed towards growth and development in the field of the information technology. I believe that the unique packages of services which we offer together, will be very useful for customers who need to grow up and develop their business. Focus on your core business and leave everything else to us”, said Vanya Osmanlieva, founder and CEO of Virtual Assistants. “Startup business, foreign investments, time management, return on investments, quality control, administration and management – these are only a few topics that arise interest in more companies operating in Bulgaria. Startup is a very popular word in Bulgaria and entrepreneurs are respected, although they are “armed” with ideas in the very beginning and very often, they do not even have an office. On the other hand, Bulgaria is unique destination for foreign companies who seek for new markets and implement new business models to optimize costs and increase sales efficiency. This is a process that has already begun and can not be stopped”, says Alexander Avramov – CEO of Stone Computers when announcing the partnership between the two companies. “Virtual Assistants company was the first to develop the market of virtual services and support by Virtual Assistants. Stone Computers company is also the first to offer all types of IT services in the cloud. So I believe that our partnership will be very successful and beneficial for all our customers”, added Avramov. 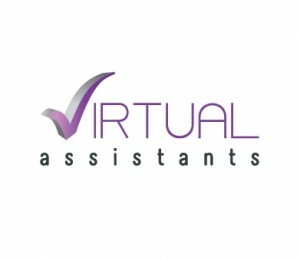 Virtual Assistants company was founded in 2009. The main business activity is the provision of virtual services related to the administrative organization of the business, execution of working tasks that are time-consuming to be done by the management, who need to focus on their core business. At the same time every Virtual Assistant takes care of the positive image and sophisticated business style of the customers – both individuals and business companies. The company’s portfolio of services includes general administrative services, such as document preparation, schedule organization, as well as specialized services: VIP and private support, public relations, marketing and advertising activities, human resources consulting and accounting support. The team of Virtual Assistants are available 24/7/365, and they are experienced and specialized in wide variety of business fields. Stone Computers is an IT provider of IT solutions of the highest quality (hardware, software and services). It was founded in 1995. Being a system integrator, service provider and strategic consultant, the mission of the company is to provide new opportunities and prospective for the business development of their clients. Stone Computers has the potential, the desire and the necessary know-how to offer an innovative approach and optimal solution at reasonable pricetoevery client. The company has been a provider of cloud services since 2009.